This picture very good. It's summer time, isn't it? how cool is that! a complete calendar! the cans are wonderful! thanks for sharing! This is a very cute scan ^^ I love the colors. i want to eat watermelon too! reeeeeeally cute scan, i love. Great pic! 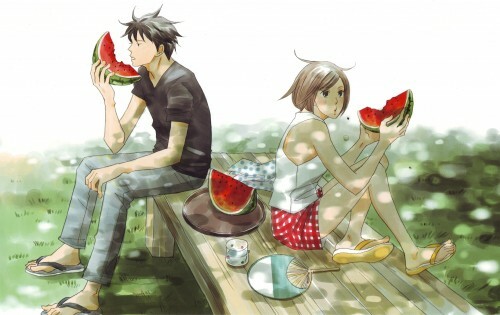 ;3 I love watermelons! 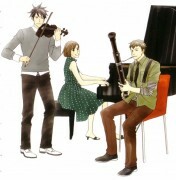 i missed nodame and chiaki-sempai a looot .. TT_TT they look soo awesome together .. :) thanks for this .. Thanks for sharing nice picture..
watermelon is the most suitable fruit for summer !